Beer Golf is a game played with ping pong balls, plastic cups, and beer. It is played by my friends and I as an alternative to Beer Pong, another popular drinking game that we all enjoy playing. With Beer Golf, your entire household becomes a golf course where each “hole” is an opportunity to drink. * Update: My friend assures me that the maximum number of players is four. Not being a golfer, I was unaware of this Pace of Play rule. Use the permanent ink marker to mark everyone’s ping pong ball with a name or symbol so it can be distinguished. Fill the plastic cup with beer and choose a starting location for it somewhere in the house. Choose the starting location for players. Choose a par for the cup. The par shouldn’t be too hard or too easy. More on this later. Each player takes turns throwing their ball towards the plastic cup. Both the player’s feet must be behind the resting place of their ball. The player is allowed to lean forward. The player is allowed to leap and take jump shots so long as they do not step over the line. The player is not allowed to brace themselves on furniture or other objects. As with golf, the person who is the furthest away from the cup shoots. The person who wins the cup gets to decide the cup location and par for the next cup. Players start shooting from the location of the previous cup. The player with the most shots to complete the cup has to drink the beer in the cup. If the player who decided the cup location and par shoots above that par, they automatically lose the cup and have to drink the beer in the cup. This prevents people from choosing ridiculous hard cup. Everyone who shoots below par gets to assign drinks to other players. They can assign as many drinks as how far below par they were. This prevents people from choosing ridiculously easy cups. Everyone has to have a beer in their hand at all times. Rule breakers have to drink. The only exception to this rule is if you are playing with the Caddy Rule. If there aren’t enough balls for everyone who wants to play, you can play with the Caddy Rule. Essentially the loser of the previous cup has to be the caddy for the winner (and is no longer an active player on the next cup). 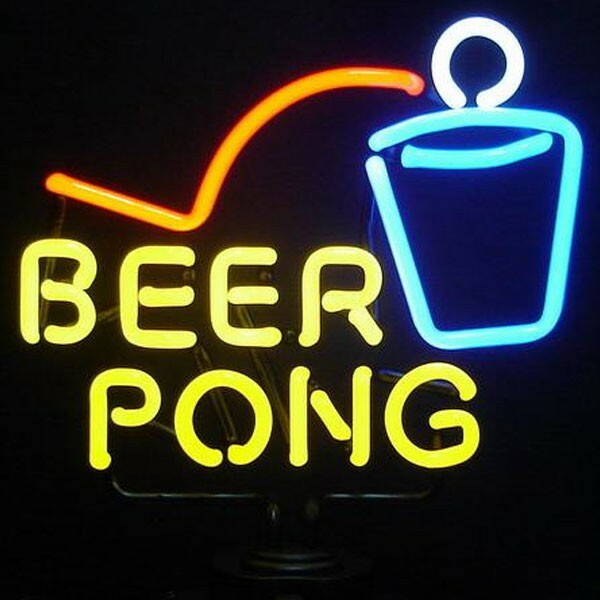 They are required to hold the beer for the player, fill the cup with beer and place it at the chosen starting location, offer advice to the player, and compliment the player when they make a good shot.